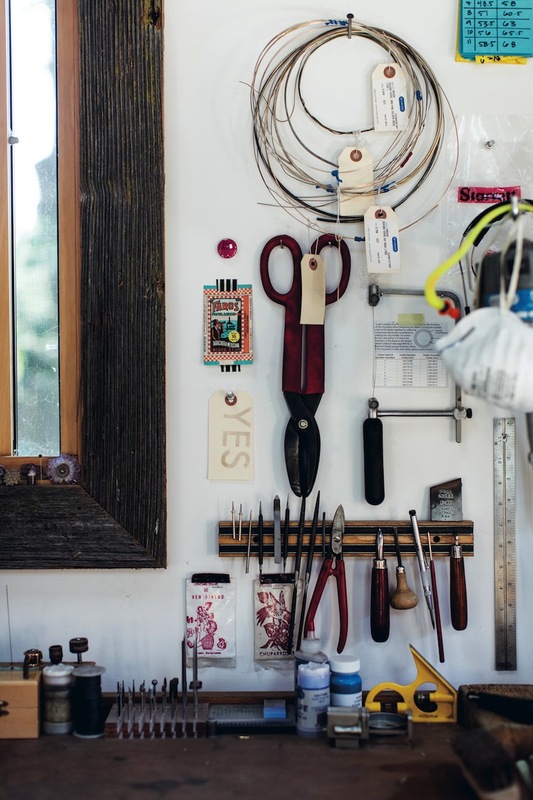 Maker Spaces is a new book which features the homes and studios of creative makers. 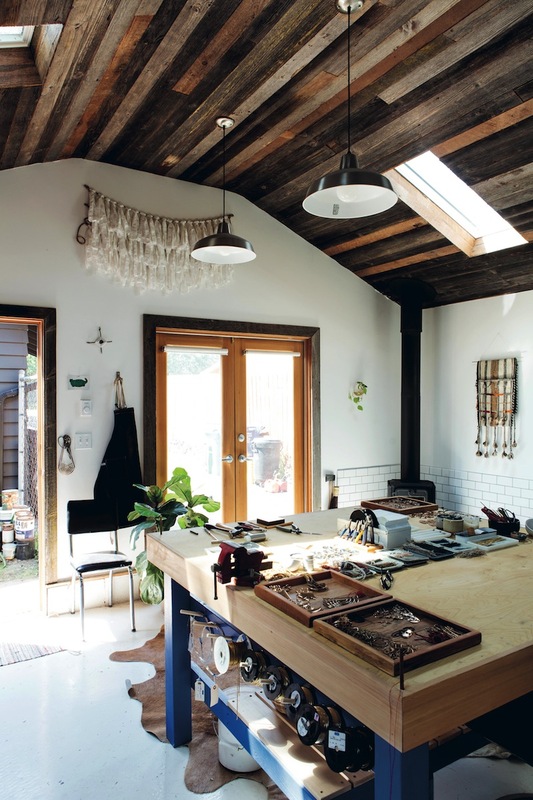 It includes a variety of styles and disciplines from Donna Wilson's large warehouse in East London, to jewellery designer Teresa Robinson's converted garage in Portland, Oregon. The book looks first at each maker's home and then at their workspace. 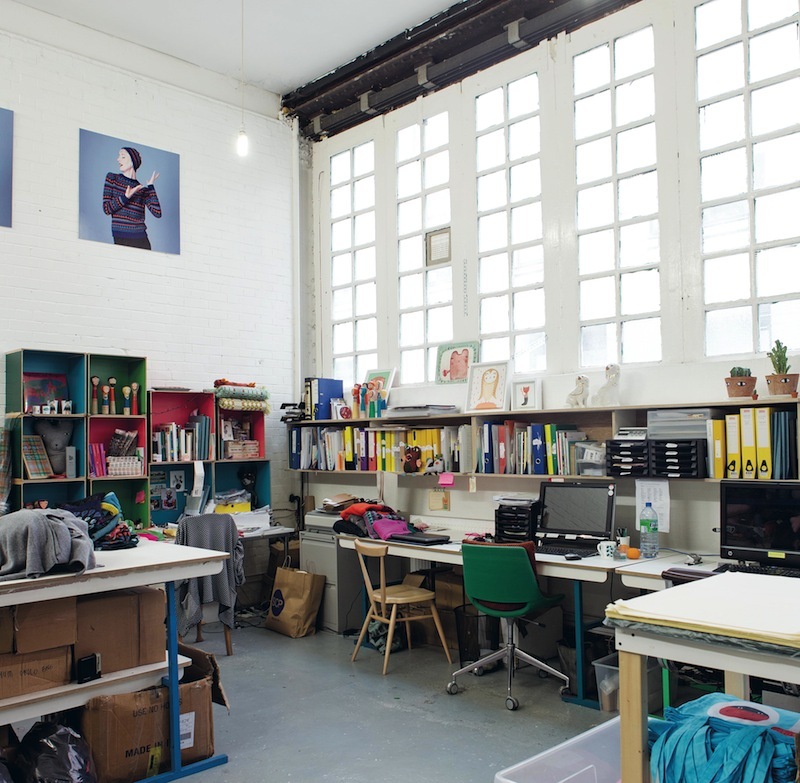 I found the studios most intriguing, as we rarely have the opportunity to see the places where other people work, as well as their specialised tools and machinery. I'm interested in how a workspace increasingly reflects its owners personality as it evolves into an efficient and well used working environment. My own recent experience of setting up a small pottery has taught me that tools and materials will find their way to the best place through daily use. It seems that only by allowing our working methods to gradually shape our environment, can we create the best, most efficient and uplifting space for ourselves. To see my own maker space, click here for a recent picture on Instagram. Images from Maker Spaces by Emily Quinton, photography by Helen Cathcart, published by Ryland Peters & Small.